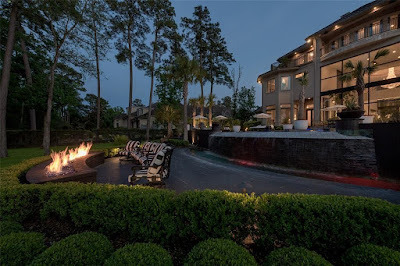 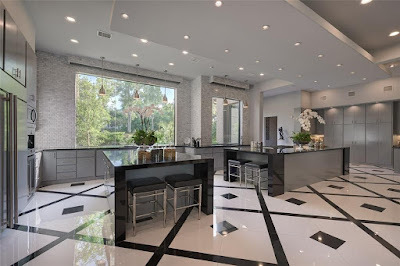 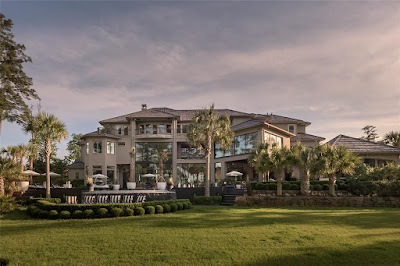 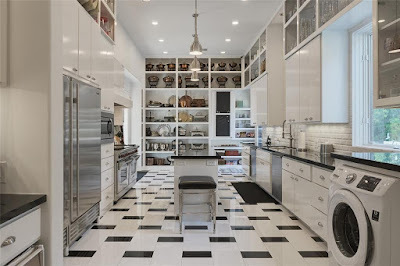 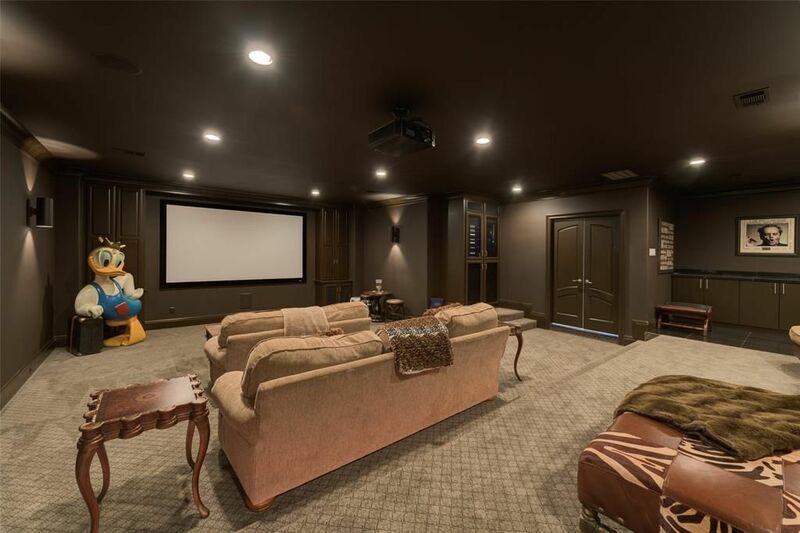 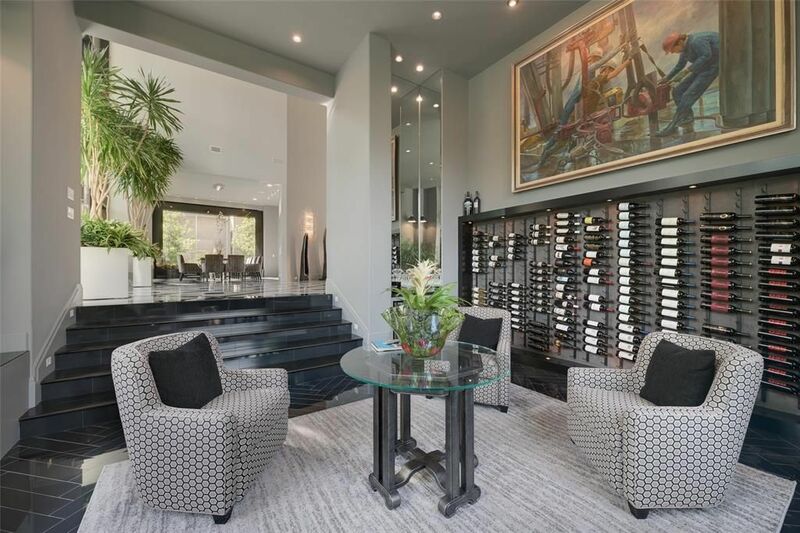 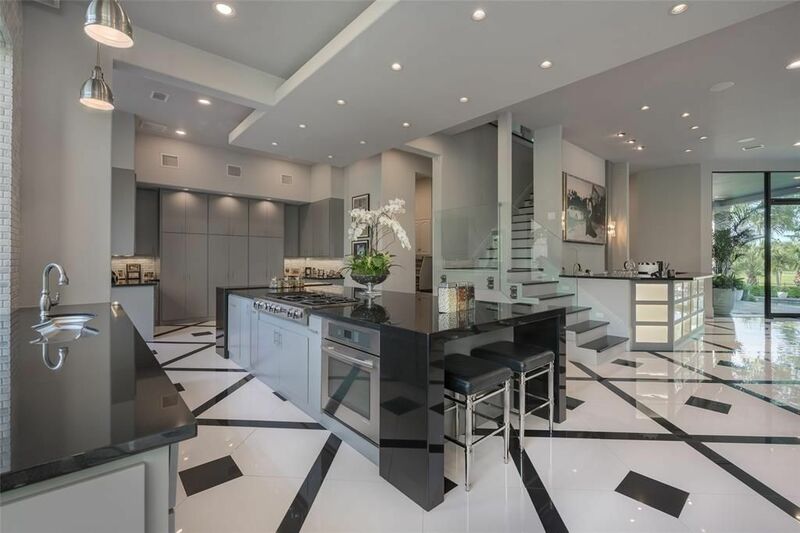 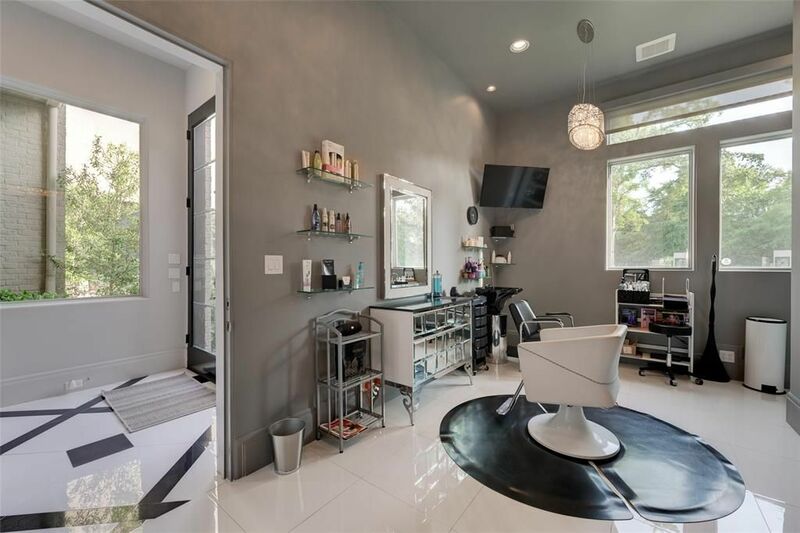 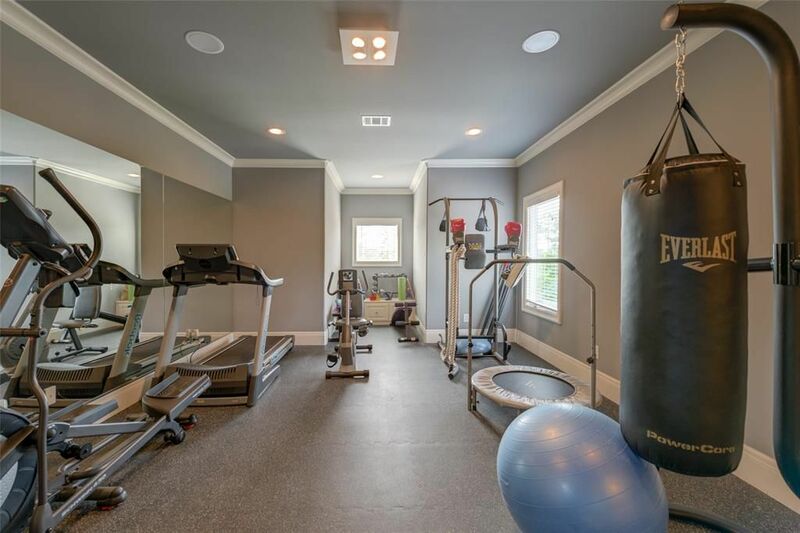 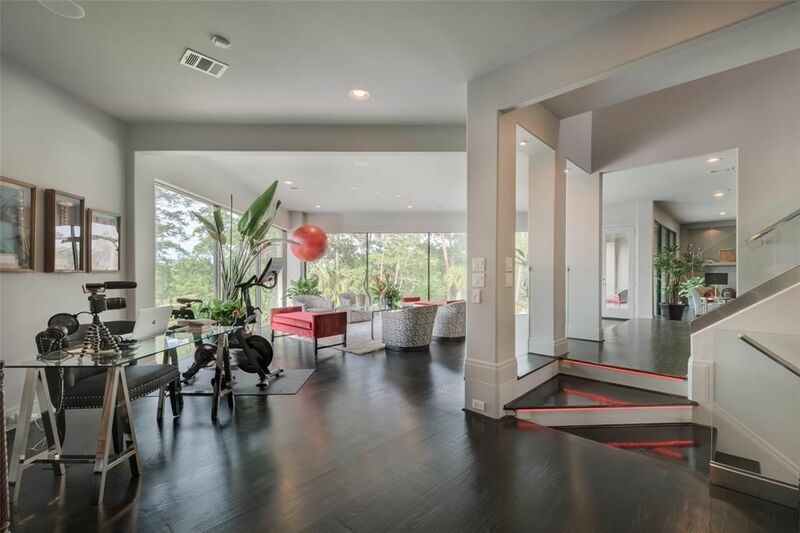 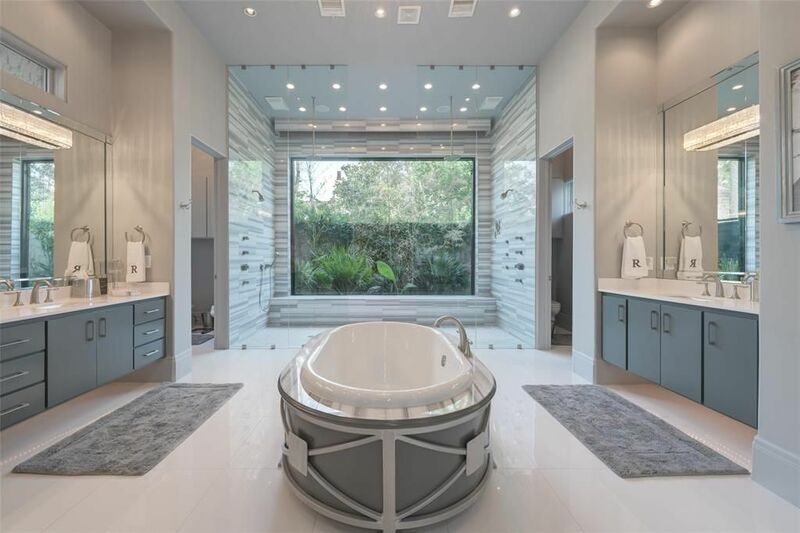 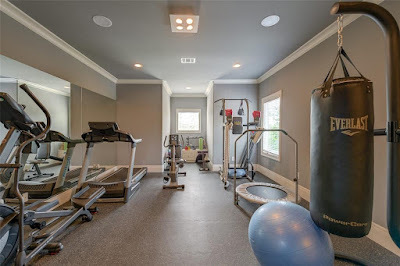 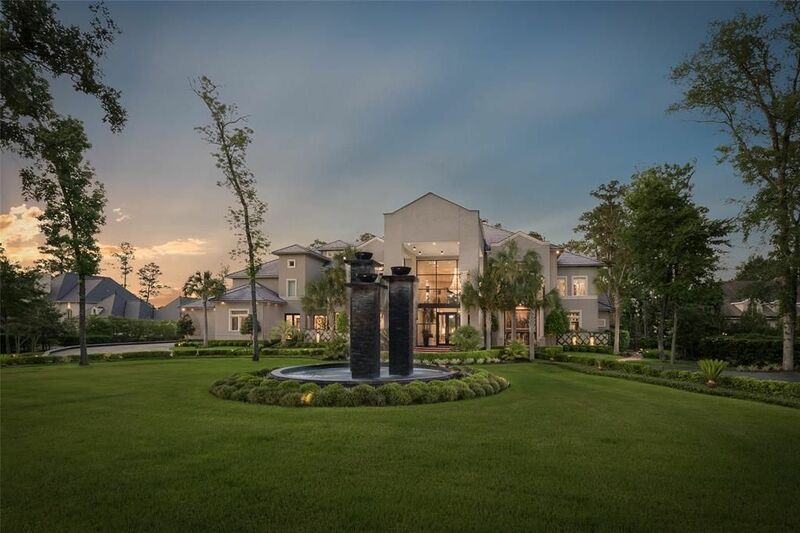 Known for its 3,000 square foot three-story closet, this contemporary-style brick and stucco mansion in The Woodlands, TX was built in 2005 and redesigned in 2013. 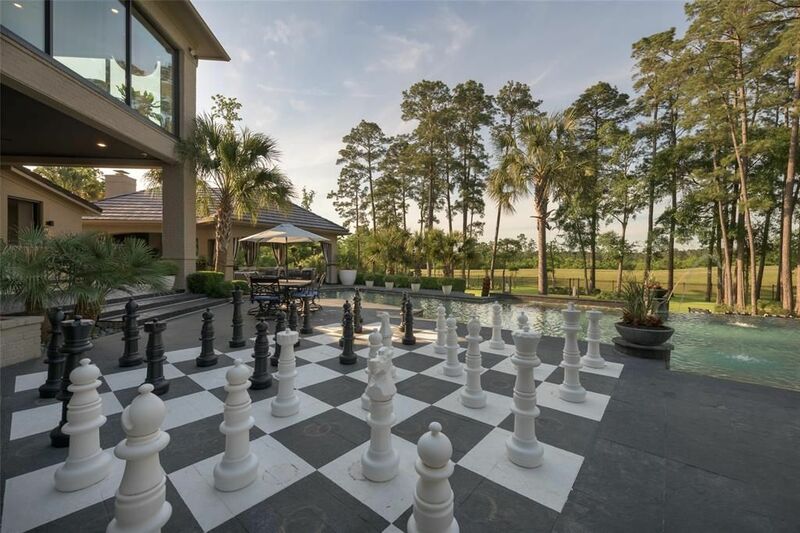 It sits on just over two acres of land with golf course views and is owned by a businesswoman and former Miss Texas. 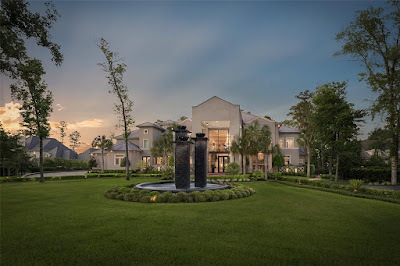 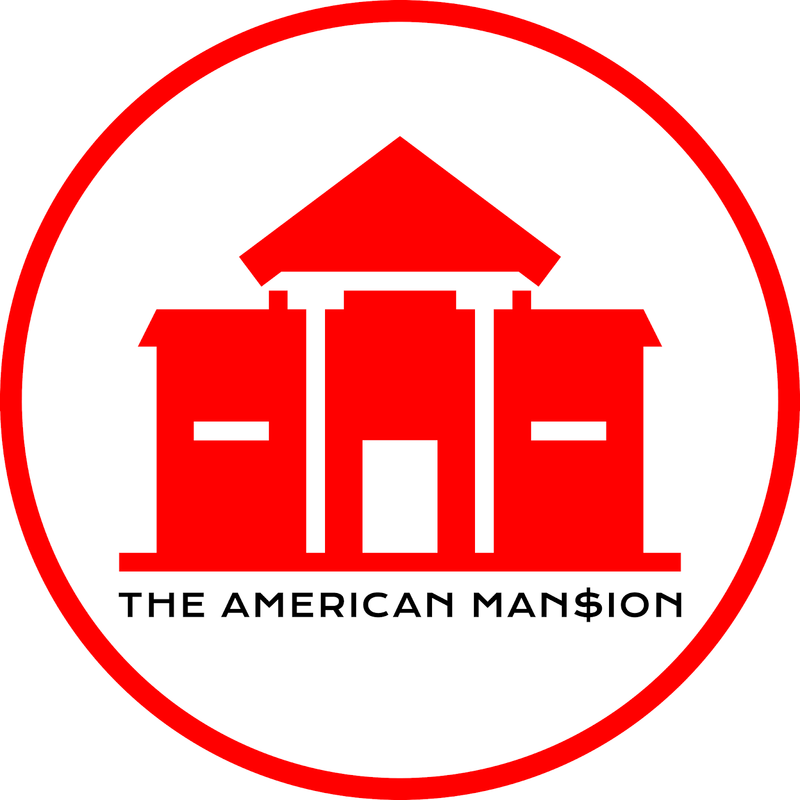 The home features 17,315 square feet of living space with nine bedrooms, 10 full and three half bathrooms, two-story foyer with sweeping staircase and painted dome ceiling, elevator, two-story great room with floor-to-ceiling glass wall and fireplace, sunken wine/sitting room, formal dining room, gourmet kitchen with double islands, commercial catering kitchen, family room with media center, lounge with wet bar, a salon, an exercise room, second floor entertainment room with wet bar, home theater, and a four-car garage. 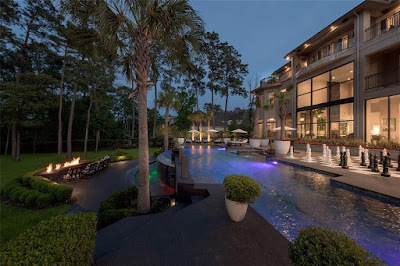 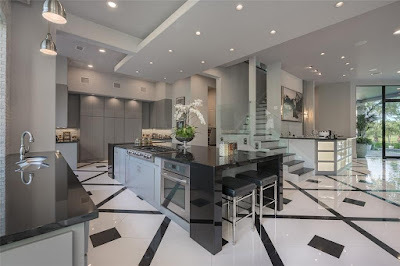 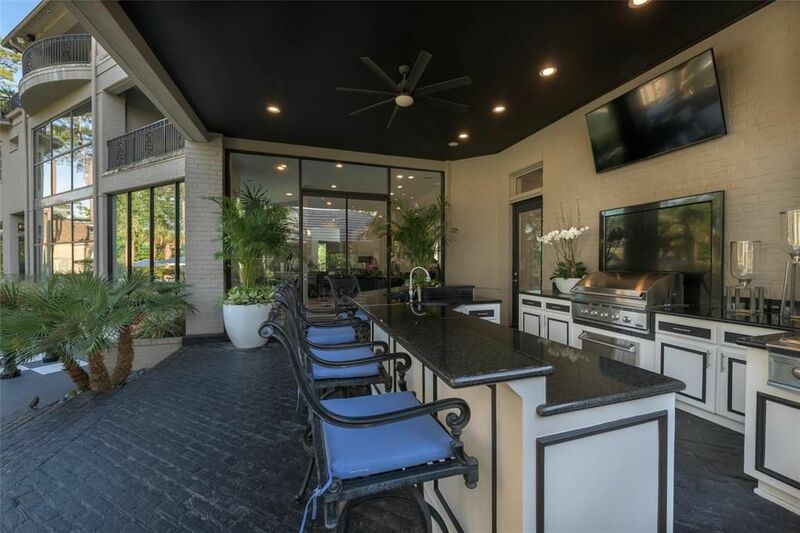 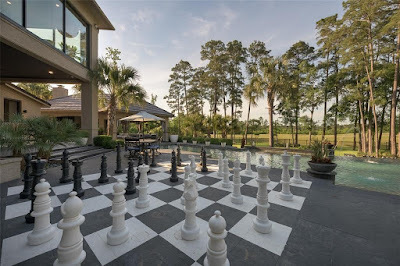 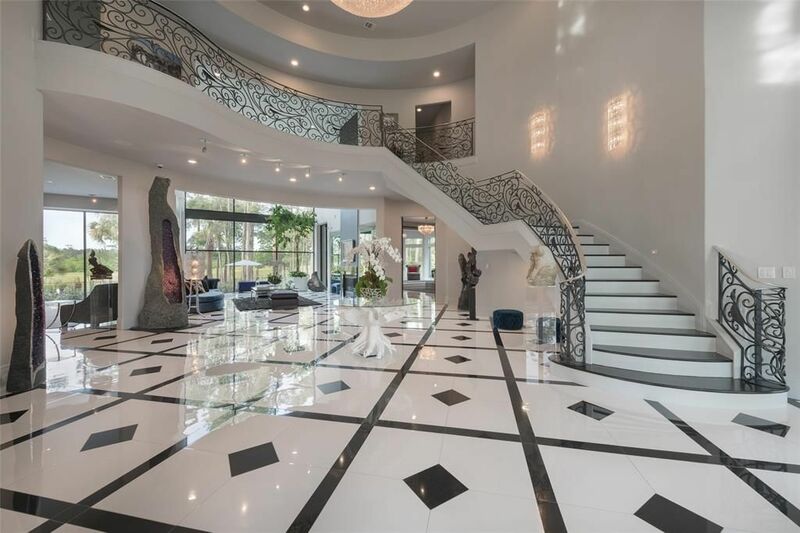 Outdoor features include a gated entrance, porte-cochere, sculpture fountain, balconies, open patios, covered veranda with BBQ kitchen, cabana with fireplace, chessboard patio, terrace with fire pit, and a swimming pool with an infinity-edge portion and spa.